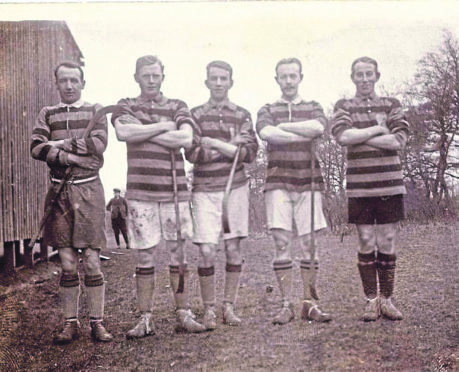 Members of Kingussie’s Camanachd Cup-winning side from 1914. Most of them were killed in the war. A botched penalty is a “disaster” for one team, while a dropped pass or glaring open-goal sitter miss is described as a “tragedy” for the perpetrator. Yet, in this week of all weeks, perhaps it’s time to put these things in proper perspective as the nation pauses to commemorate the centenary of the end of World War I. The conflict affected everybody, but its impact was particularly stark among the young men who signed up to serve their country after the hostilities commenced. Rugby was one of the biggest casualties of the war. Indeed, there were more Scottish internationalists killed – 31 – than anywhere else in the world. And when the players of Aberdeen Grammar and Glasgow Hawks joined together for a minute’s silence before an RBS Premiership match in 2014, they were paying homage to hundreds of their schools’ members who perished in the trenches, at sea, in the air, or on other foreign battlegrounds. At the outset, off they went, these bold, blithe boys, to France, Italy, Belgium, Australia and wherever campaigns were being fought. And, in so many cases, the journeys they undertook did not require a return ticket. 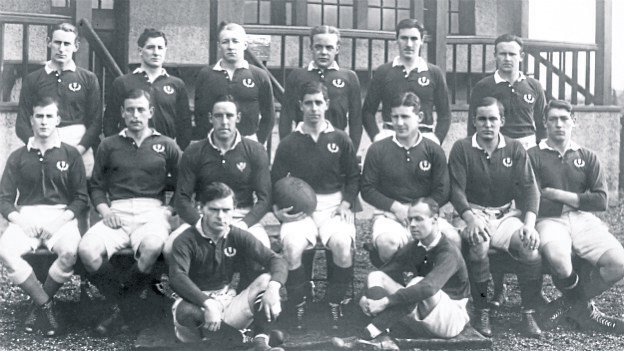 The Scotland rugby team which played England in March, 1914. Six of them were killed and two others seriously wounded during the war. By the eleventh hour of the eleventh day of the eleventh month, no less than 1132 former pupils of Aberdeen Grammar and Glasgow Academy, Glasgow High School and Kelvinside Academy and their associated schools, had succumbed. Many thousands of others suffered physical and psychological scars and Hugh Barrow, the Glasgow Accies stalwart, who carried out extensive research into the subject, was almost overwhelmed by the scale of the casualties. He said: “There were 480 former Glasgow High School pupils killed; 327 from Glasgow Academicals; 131 from Kelvinside Academy; and 194 former pupils of Aberdeen Grammar also lost their lives. “There were so many awful incidents that it isn’t possible to relate them all. On June 28, 1915, at Gully Ravine in Gallipoli (one of the biggest catastrophes of the whole conflict), 34 former pupils of the schools were killed, including two Scottish international caps, Eric Young and William Church. “Prior to the war, these young lads had no idea what was about to happen. They signed up for military service thinking there will always be next season or the season after that. Aberdeen FC’s tribute to their casualties of war at Pittodrie. One of the most poignant aspects of these fatalities was how confreres on the pitch died together in the same regiments and pals’ battalions. They had left their roots at the same time, convinced that they would be stringing passes together, hitting sixes and organising rucks and mauls within a matter of months. Yet, whether in rugby or football, cricket or athletics, the toll of doomed youth accumulated with every new battle etched in the history books: Mons, Passchendaele, Gallipoli, The Somme, Verdun, Ypres. Aberdeen FC had only been in existence for just over a decade when the conflict began. But their bravest and brightest were not slow in pushing themselves to the front of the queue and into harm’s way, as the permanent memorial in the Richard Donald Stand concourse at Pittodrie exemplifies. Later this week, there will be a memorial service at the stadium and the club confirmed there will be a significant representation of Gurkhas, because they have a number of Nepalese staff who work for the company. 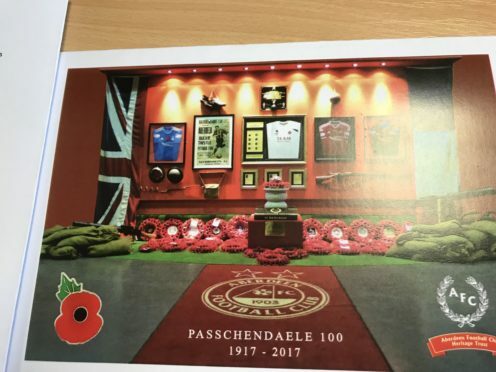 As a spokesman said: “Thanks to the sterling work of the Aberdeen FC Heritage Trust, we know how much the club was impacted by two world wars and about those who made the ultimate sacrifice. Sport has often provided a means for countries to come together and escape from the difficulties and drudgery of day-to-day existence. But that concept was turned on its head during the Great War when so many members of one generation were scythed down. That is the real tragedy, the genuine disaster, even 100 years later, when there is no-one left of those millions of soldiers who travelled in optimism and never came back. Jim Rae, the honorary president of Aberdeen Grammar RFC, said: “These gallant individuals are certainly not forgotten. “Every time we run out to train or play at Rubislaw, we are reminded of their sacrifice, as the pavilion building hosts the Honours Board that is memorial to those from the school and rugby club, staff and former pupils, who gave their lives to the cause of protecting this community and their country. “The sporting pursuits, social values and societal freedoms we enjoy now were hard won by them. They all contributed to and enhanced the reputation of Aberdeen Grammar School and its associated former pupils’ sporting sections, which are now open clubs with teams of participants from both sexes.